***Note: To downloads Computers Screensavers from this page, please click on the screen shot of interest. Are you dreaming of a modern operating system? Feel bored with your desktop? Here is what you need! The cool Linux Style Screensaver is created to help you get closer to Linux and bring some new life to your computer screen. Download now for free and enjoy the images of original Linux logo! Clock Screen Saver is popular screensaver software that displays the current time in the way of cool digital or analog clock. Program has 3 clock modes: analog clock, digital clock and text-digital clock. You can customize every clock mode as you like. For example, you can set different colors for every digit or clock hand, choose the time format and select to change clock position randomly. Clock Screen Saver also enables you to add cool glow and afterglow effects to make you clock more stylish. Moreover, program can play real clock-striking sounds every hour, minute or second. You can use internal sounds or use your own samples. Download free Slideshow Screensaver and enjoy the slideshow of your favorite images right at your desktop. Choose from our web gallery of screensaver sets and more than 3,000 images or create your personal screensaver using your own photos! Enjoy cool slideshow effects and set the effect delay. Set slideshow images as your desktop wallpaper! Our slideshow screensaver will get you to places you love or just give you the feeling of freedom in the busy hours. You can use also a free customizable Crawler Toolbar that has games, ecards, fun ball, download manager, WSG, and more! Enjoy screensavers like 3D aqua marine, 3D aqua tropical, 3D fire, 3D earth, and 2D slideshow. Enliven your browser with colorful IE browser skins, choose from over 2,000. Replace your plain cursor with an animated cursor from our huge gallery! Beautify your desktop with incredible wallpapers from our huge gallery covering popular subjects for everyone. Customize buttons to access frequently used programs, like Word, Excel, or Crawler features, like popup blocker, skins and games. Crawler Toolbar Search scores at the top of the class for most relevant search results. Select one search engine, such as Yahoo, MSN or Ask Jeeves, or choose metasearch and get the combined results from all available search engines. Rich with advanced plugins like MP3 player, you will enjoy Internet radio and at the same time make recordings of your favorite songs and radio shows. Display RSS and ATOM feeds directly in Internet Explorer or icon tray from favorite news sources such as CNN or NPR. Access your Crawler email account fast and efficiently with email plugin. Get 1-click webmail access, monitor multiple accounts, get notified and preview incoming emails. Compose new messages thru shortcut, upload attachments with simple right-click. 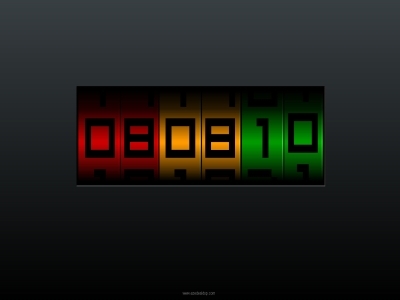 Clock Screen Saver is a cool looking screen saver that displays the current time. The program works in analog, seven-segment digital and text digital clock modes. Every clock face is fully customisable. You can choose the time format to display, add current date to desktop, adjust clock size and customize clock color. 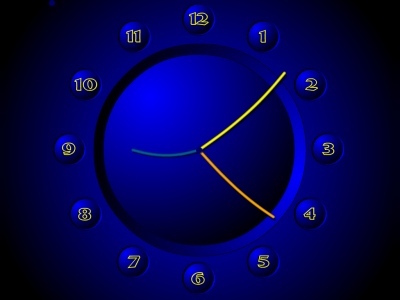 You can also add glow and afterglow effects to make your clock look more attractive. Text digital clock face supports all fonts installed on your computer. Clock Screen Saver can play sounds every hour, minute and second. You can use default program sounds or your own wave samples. Clock Screen Saver is now Windows Vista compatible! Ancient Clock Screensaver immerses you into the atmosphere of ancient mystery that will help you unlock the secrets of time. People are always rushing, trying to get somewhere in time. But time keeps running away from us. Now you have got the time under your control! The unshakable calmness of the sphinxes and their glorious might will not let the time slip away. The powerful sphinxes will patiently keep your time! Sonar simulation screensaver displays a fabulous sonar screen with famous rotating beam and object marks. There are lot of decoration elements, like orthogonal and circular scaling grids, markers, various windows with information. And all this beauty will be accompanied with many sounds including underwater noises, whale songs, screws and cinematographic effects. When running in "on-screen-message" mode it can display text messages instead of simply closing when touching mouse or keyboard. This can be useful for leaving workplace without wondering that somebody will not know where you are and when you are going to be back. Sonar Screensaver supports multi-display PC configurations and can run different models on different screens. All the parameters can be easily configured at screensaver settings window. The screensaver is shipped with on-line help, which makes its configuration (when it is needed) quick and easy. This nifty screensaver sets your desktop ablaze. When you fire up Fantastic Flame Screensaver (no pun intended), each item on your desktop - including icons and all open windows - will appear to catch on fire, glowing and emitting a smoke effect. The crackling and popping sounds and nice chimes that accompany the screensaver are right on the money.Fantastic Flame Screensaver has a lot of very different self-explanatory colorful flame presets, such as: Wood, Petroleum, Thermovisor, Propane, Hypericin, Metallic Ice, Copper Oxide, Orchid and many others (more than 50 in total! ).Of course, you are able to create your own wonderful presets too. You can alter the speed, spire length, flame intensity, and, naturally, the flame palette.Finally, Fantastic Flame has the Random Preset – you never get tired of watching! A nice feature: using the F key, you even can capture a picture of your burning desktop without exiting the screensaver!Though it may sound particularly exciting, we think this screensaver is worth downloading for the novelty value alone and should be worth buying due to its cool, one-of-a-kind approach. Your friends will say: Oh, your desktop is BURNING! If you are a "Computers Screensavers" creator and would like to have your work listed on DesktopLand.com then please submit your work for us to review and list. Friends and Computers Screensavers Developers - Welcome!